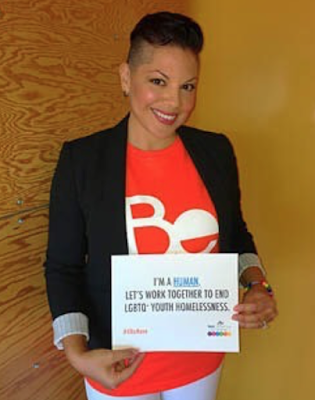 Grey's Anatomy Star Sara Ramirez Comes Out as Bisexual, Sara Ramirez wants young people to embrace their identities. Sara Ramirez is known for keeping her private life pretty private, but this morning, the Grey's Anatomy star shared something very intimate during a powerful speech. In a Twitter post, the former Grey’s Anatomy actress shared a photo of herself to support the 40 to None Summit, an event named after the 40 percent of youth experiencing homelessness who identify as lesbian, gay, bisexual or transgender. In speaking her own truth, Ramirez came out as bisexual publicly for the first time. “So many of our youth experiencing homelessness are youth whose lives touch on many intersections – whether they be gender identity, gender expression, race, class, sexual orientation, religion, citizenship status,” Ramirez, 41, wrote. Ramirez, best known for her role as Dr. Callie Torres, who identified as bisexual on Grey’s Anatomy, has been married to her husband Ryan Debolt since 2012.